DeKalb, Ill. — I Younan An didn’t have much when he came to NIU from Cambodia, aside from hope. He’ll graduate this December as the 2018 Student Lincoln Laureate, an honor reserved for the university’s top senior. An ocean away from his family in a world very different from the one he grew up in, he’s made himself known around campus as the tall, lanky, humble guy who makes the rounds each morning just to greet people. Despite his achievements, An talks of having low self-esteem, of feeling like he fumbled through the Lincoln Laureate interview consumed by nerves. When he heard the news he’d actually won the prestigious award, he burst into tears. The award is given to an outstanding senior from each of Illinois’ four-year universities for excellence in both curricular and extracurricular activities. “I came here all this way,” says 21-year-old An, who hasn’t been back home to Cambodia since stepping foot on NIU’s campus as a scared freshman in the spring of 2015. A fellowship through the Southeast Asian Youth Leadership Program had covered his tuition, but he’d have to work to pay for everything else. The 21-year-old grew up the son of struggling tailors. As children, both of his parents had survived the Cambodian genocide from 1975 to 1979 and had to drop out of school at young ages. An’s mother made it through sixth grade, his father eighth. Each had to move into the city to get jobs to help support their families. They learned at a young age that they could get through anything, An says, and they instilled in An and his younger sister the mentality to never give up. “All they care about is seeing their children have education and have a good life,” he says. They saw something in their son from a young age. Along with his Cambodian language of Khmer, he’d learned to speak English in kindergarten. Recognized for his volunteer work for the National Red Cross, he’d first come to NIU at age 17 as part of a three-week high school exchange program through the Southeast Asia Youth Leadership Program. He knew he wanted to come back. Even then, he says, he felt part of the NIU community. He liked how student-focused the school felt and loved the idea of engaged learning, being able to take part in internships and service trips. It wasn’t long before he returned and became a fixture on campus. “In addition to being incredibly intelligent, I Younan has an authentic enthusiasm and passion for his work, study and community engagement. 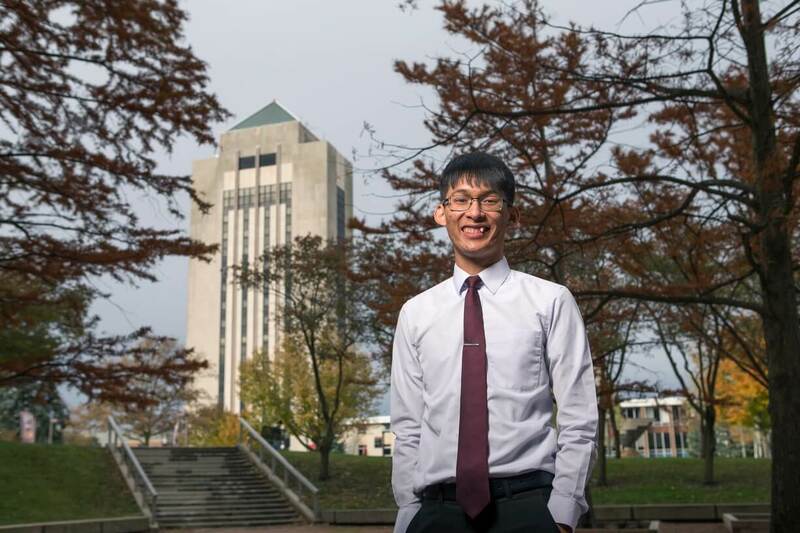 His energy for research, student and community engagement is infectious and is all the more rare, combined with his academic prowess,” wrote Political Science Professor Kheang Un, who nominated An for the award. 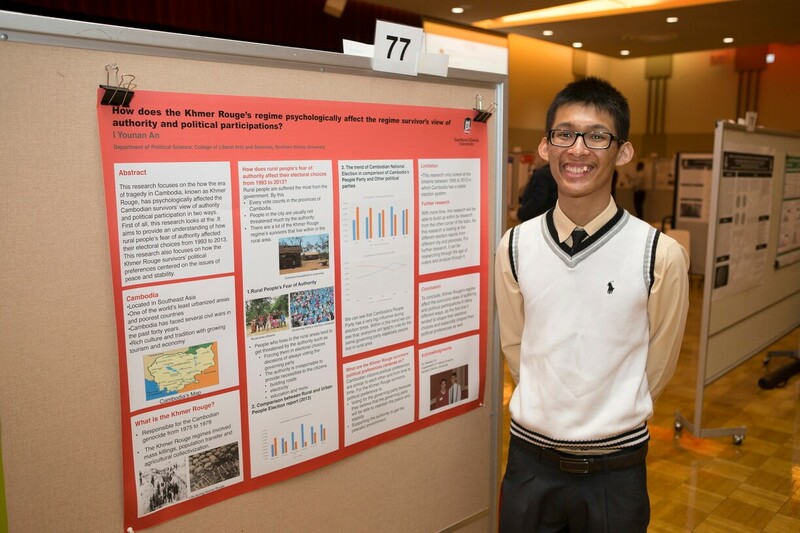 Un supervised An’s award-winning Research Rookies project on “How Does the Khmer Rouge Regime Psychologically Affect the Khmer Rouge’s Survivors’ Political Participation?” Also Cambodian, Un and An have become close, with An planning to join Un’s family for Thanksgiving this year. Along with An’s academic achievements—University Honors, Political Science Department Honors, Senior and Junior Leadership awards and many more—his list of involvement in volunteer activities and organizations is endless. He’s held leadership positions in numerous student government organizations at practically all levels throughout the university. He also interned in Minneapolis as part of an Urban Scholar Program run by the City of Minneapolis’ civil rights department. For An, it’s all about dedication, passion and volunteerism. 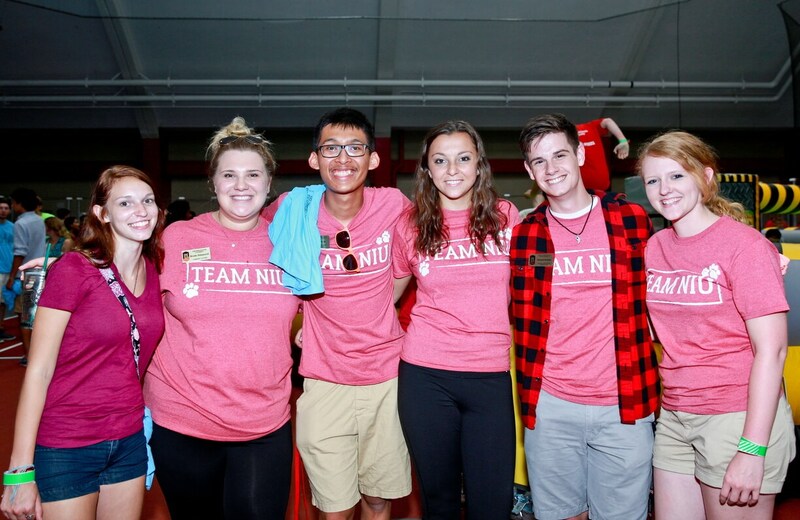 Any free time he might have is spent volunteering at the Huskie Food Pantry, University Council, Political Science Student Advisory Committee, Southeast Asia Club, Residence Hall Association, Model United Nations, Student Association, NIU Best Buddies and other organizations. “Despite the great challenges of adjusting to American culture, the educational system and the work environment, while at NIU, I Younan has worked earnestly to harness what NIU has to offer,” Un wrote. An’s dream job is to become a diplomat or the ambassador of a country, but he’d like to start his career with the United Nations or a nonprofit government organization helping people in developing countries with general equality issues, wellness, health access and education. 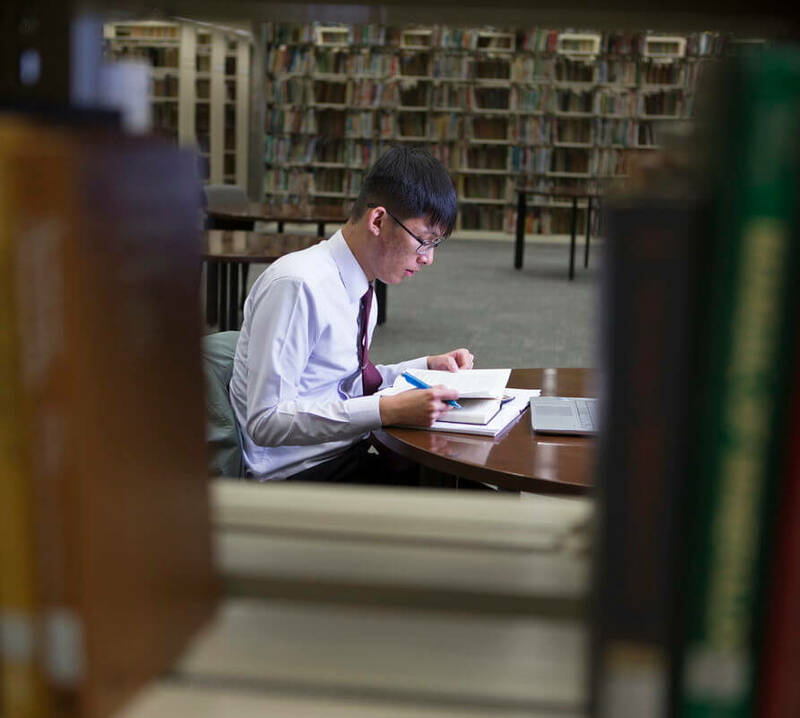 For now, he’s applied to graduate school at NIU hoping to earn a master’s degree in political science with a certificate in Southeast Asian Studies. He’ll learn what he can in the next few years and, hopefully, he says, bring those skills back to his country. “I want to help everyone to live for the greater good,” he says. In his parents’ eyes, he’s already doing that. Read more about An with a Q&A in his own words, featured in one of our Huskie Spotlight campus profiles. 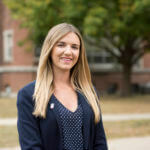 The first finalist for the 2018 Student Lincoln Laureate was Diana Jarocki of Libertyville, a communicative disorders major expected to graduate in May 2019. 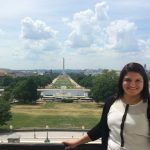 See her Huskie Spotlight answers to learn about her NIU journey. The 2018 Student Lincoln Laureate finalists were Marilyn Chakkalamuri of Woodstock (biological sciences), Margaret Hitchcock of Glenwood (English and philosophy), Ronan Kaiser of Gurnee (history) and Ryan Scheri of DeKalb (communicative disorders). All will be featured in future Huskie Spotlight campus profiles.